Perhaps the only truly perfect combat instrument ever created; A seamless extension of your arm with no moving parts and little maintenance needed. 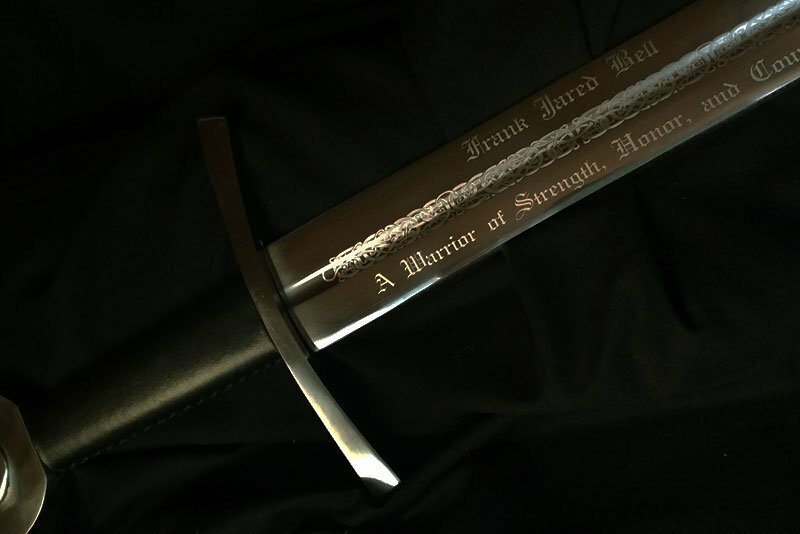 It served us well for thousands of years and swords have never misfired or ran out of ammunition. The choice of medieval knights. Typically they were wielded in one hand while a shield was held in the other hand. These are our largest we offer, often requiring two hands to wield. The Esterlina line are premium fully functional battle ready. These are not historical replicas but they are still pretty cool. These are used with one or two hands. Katanas, samurai and other Asian blades. Made of foam or latex and used for Live Action Role Play(LARP) or for just having fun. An elegant weapon from a more civilized time. 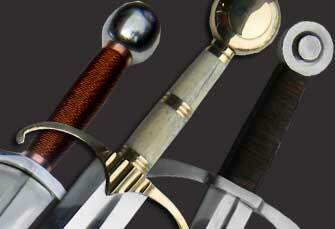 These are the classical blades of medieval Europe. Military replicas including Civil War era models. Pirate, cutlasses and other curved blades. 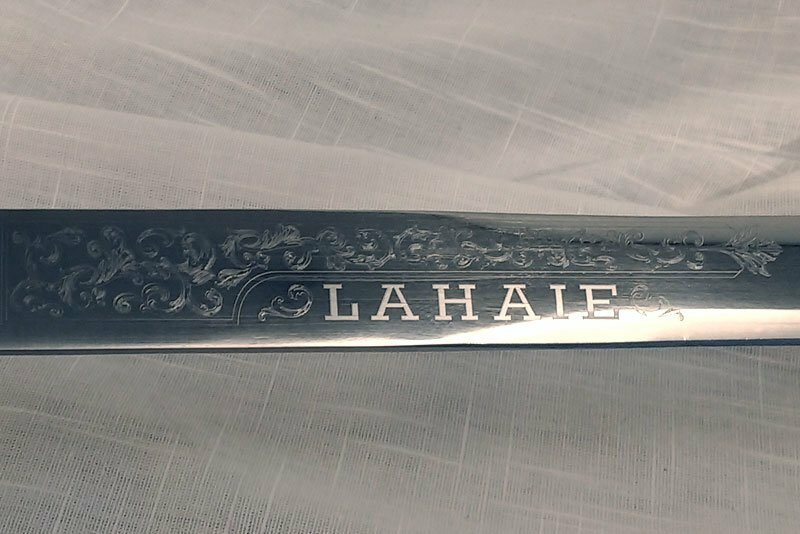 The most sleek and civilized of all blades. Whether you're standing shoulder to shoulder on the beaches of Troy or facing down a Thracian gladiator in Rome, these are the weapons you would have used. Gaelic including Scottish and Irish. These were especially effective for in close fighting. With blunted tips and thicker edges these are better suited for theatrical re-enactment and stage fighting. Save us from the fury of the Northmen. Luke Skywalker's 2nd Lightsaber - After dropping his blue lightsaber (along with a hand) in The Empire Strikes Back, Luke builds his own lightsaber, as all Jedis are supposed to do anyway. The blue lightsaber was the one used by Annakin Skywalker who (spoiler alert, ha ha) was actually Luke's father, Darth Vader. So, in defeating Luke, Vader actually lost an expensive weapon of his. Little lesson here boys and girls: If you're going to cut off your son's hand, make sure he's not holding your old lightsaber over a gaping chasm. The green lightsaber was built by Luke on tatooine, following the same techniques that had been used by Jedi for centuries. By building his own li ghtsaber, Luke accomplihsed what is known as the "Lightsaber Creation Trial," one of the final trials in the long list of trials needed to become a Jedi. 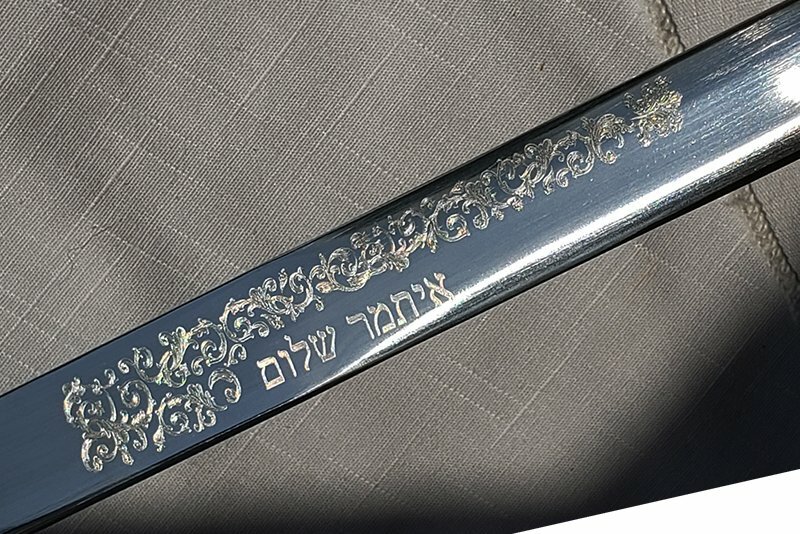 We have have dont thousands of engravings and it never ceases to amaze us how much it can add to the attraveness of an item. Our online App allows you to create a design with text, pre-designed graphic patterns or choose from our library of over 1,000 artwork images. 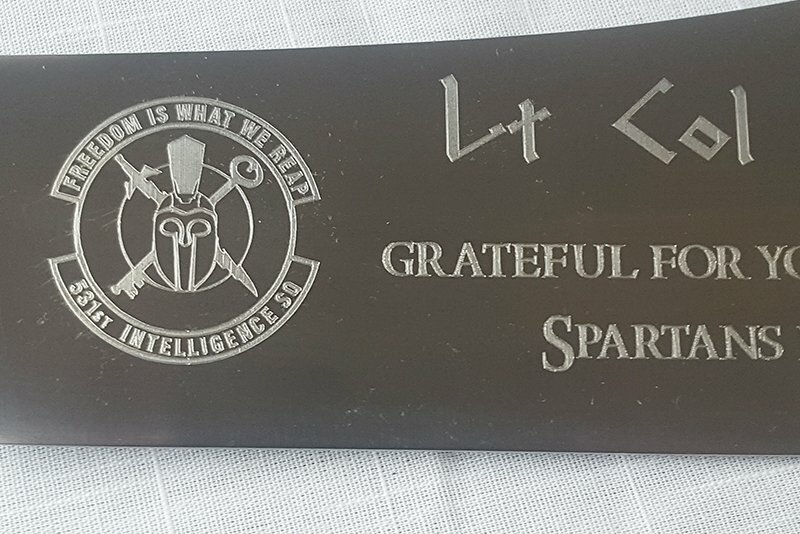 We can engrave family crests, coat of arms, military insignia, corporate logos, organization emblems and just about any other form of graphic that can be represented as line art. Our online App can handle most designs but, if you have a design beyond what can be done by our App, please contact us, we are happy to discuss your project with you. 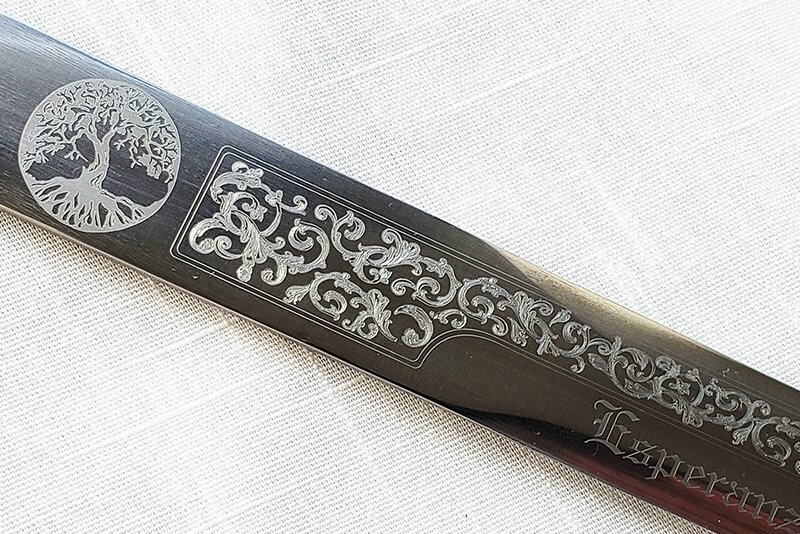 Our Engraving Gallery shows samples of some of our engravings we have done in the past. 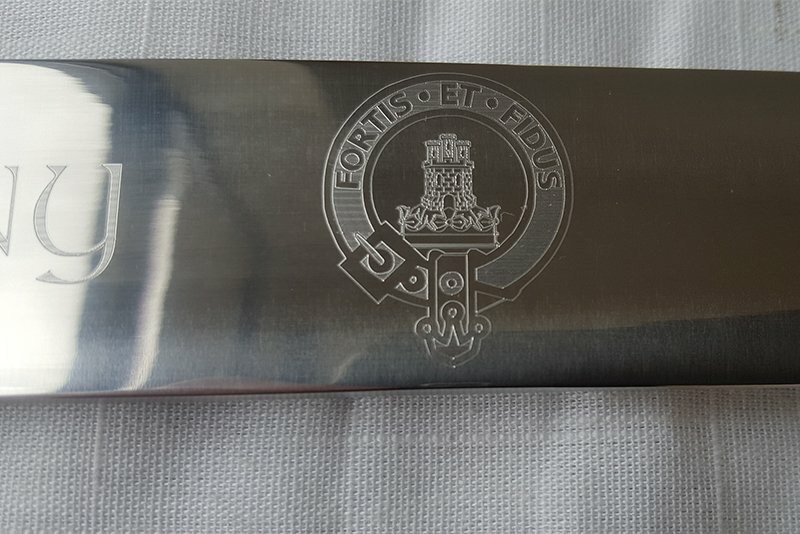 We have also listed a few engraving samples below.